We are having a middle eastern feast. Any excuse to fire up the BBQ is a good excuse. 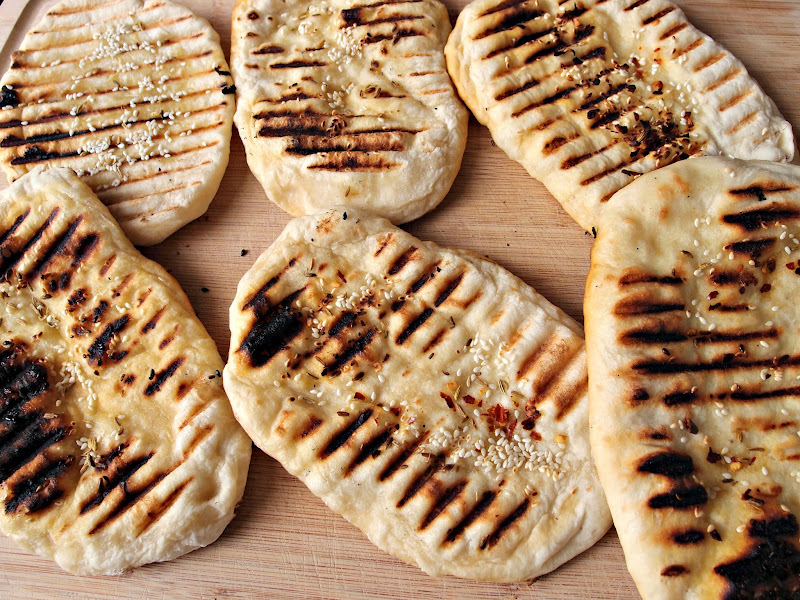 You can't beat freshly baked (or barbecued) bread. I wanted to try the recipe. My family and friends love home made bread. But, if I'm honest, the main reason is because I'm greedy. 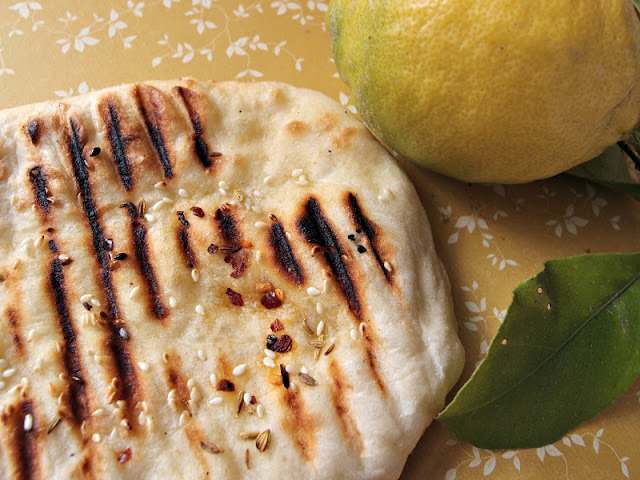 It's that simple, just like the flatbread. Sift the flour and salt together in a large bowl and make a well in the centre. Add the yeast and olive oil to the water then pour it into the well in the dry ingredients, stir to bring it together. The dough will be sticky and wet. Turn the dough out onto a floured surface and knead for 5 minutes or until smooth and quite elastic, incorporating extra flour as needed. Oil a large bowl (about a tablespoon of olive oil should do) and place the dough in it, turning to coat. Cover with cling film and let it sit in a warm spot until it’s doubled in size, about 45 minutes. 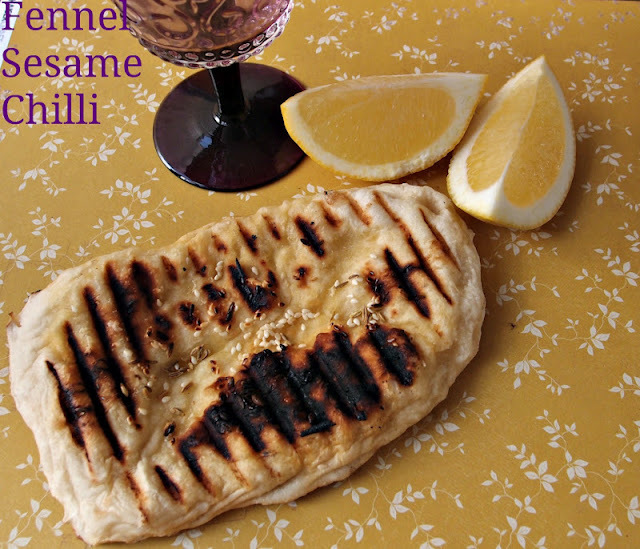 Preheat your grill pan or barbecue chargrill plate to high. Divide the dough into 6 pieces and roll each out to form a small oval shape, until it’s about 5mm thick on a floured surface. 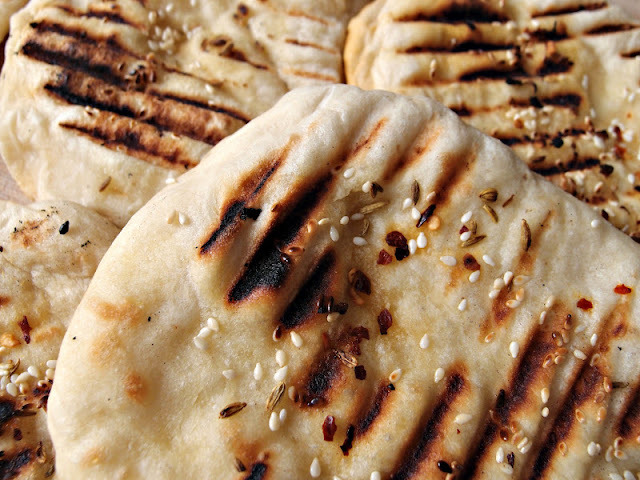 Cook the flatbreads for about 1 1/2 minutes on one side or until charred in spots. While this is happening, put a few drops of oil on the exposed side and sprinkle with the sesame seeds, fennel seeds and chilli flakes. Turn the flatbread over and cook it briefly for about another minute. 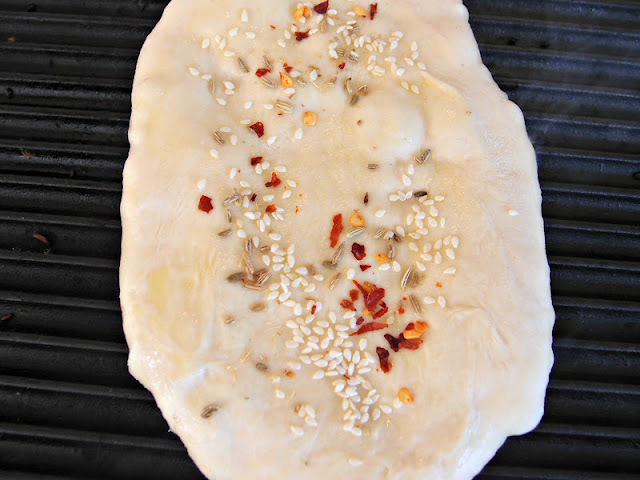 The sesame seeds and other topping should be nicely toasted and the bread should be cooked through. Remove them from the heat and sprinkle with sea salt flakes.